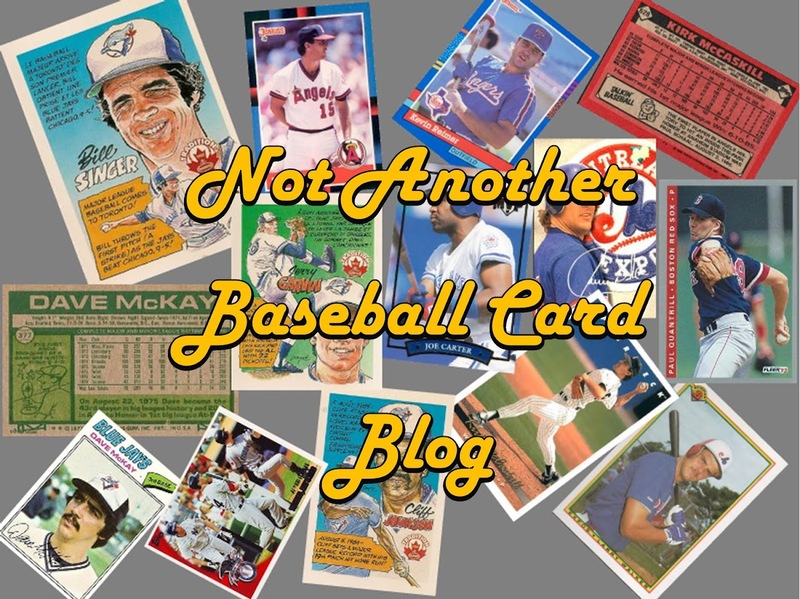 Not Another Baseball Card Blog: Blog Bat Around: What Do You Collect? Blog Bat Around: What Do You Collect? Probably one of the few of these I'm actually awake/aware enough to take part in. One thing that's always asked of collectors is "What do you collect?" Well.. Let's take a look, shall we? I will admit, I'm mainly working on sets from the mid-80s and early 90s. I'm done 1987 Topps aside from three error cards. Done 88 Donruss. Done 1984 OPC. I can't be a real Canadian without a Skatey-Punchy collection, can I? Well, for Hockey, I collect two players: Charlie Simmer and Aaron MacKenzie. Both are from my hometown of Terrace Bay Ontario. As mentioned before, I received a number of Simmers from a person I knew back home. Of course, I'm on the lookout for more. 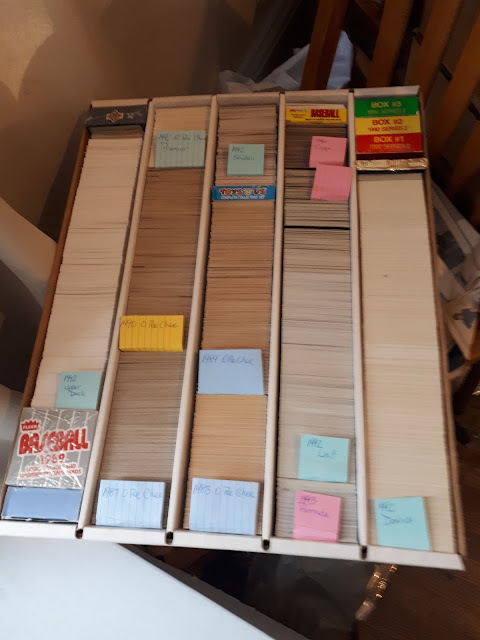 I'm trying to get a base set for every year the Jays and Expos existed. The Walker serves an added purpose here, as he is also Canadian. I also collect Canadian born players. There are a couple that I collect that aren't "Born" Canadians, but for my purposes, are close enough. Kevin Reimer was born in Georgia to Canadian parents, and actually moved to BC after his playing days. Freddie Freeman is also the son of Canadian parents and he played for Canada in the last WBC. I love stadium cards. You can say I'm a Stadium Geek.. I love the differences in parks. The look, the way the game plays, everything.. 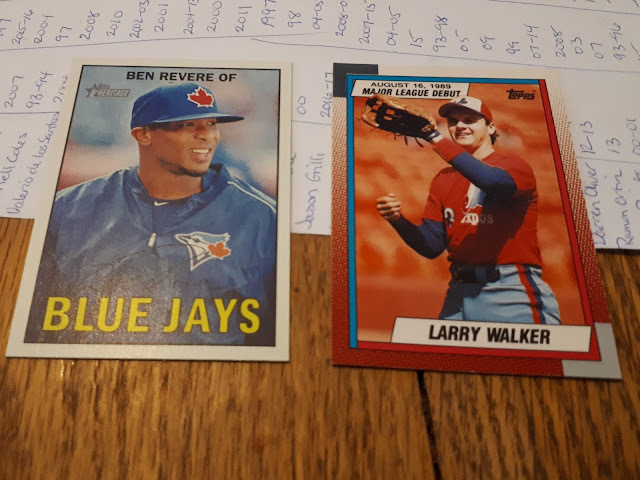 This photo is actually from a mailday I haven't covered yet, but was easier to scan it than dig through and find the SkyDome card from 1992 Triple Play. So.. That's what I collect. The Stadiums collecting is a cool and unusual one to go after - but I get the appeal. There's something about just the stadium itself and feeling the history that is so enjoyable - even in card form. Aaron Mackenzie? Who? I had no idea that a grand total of 5 NHL games would get you even a sniff of a trading card. Seems like it wouldn't be to hard to have a master set of all his cards. 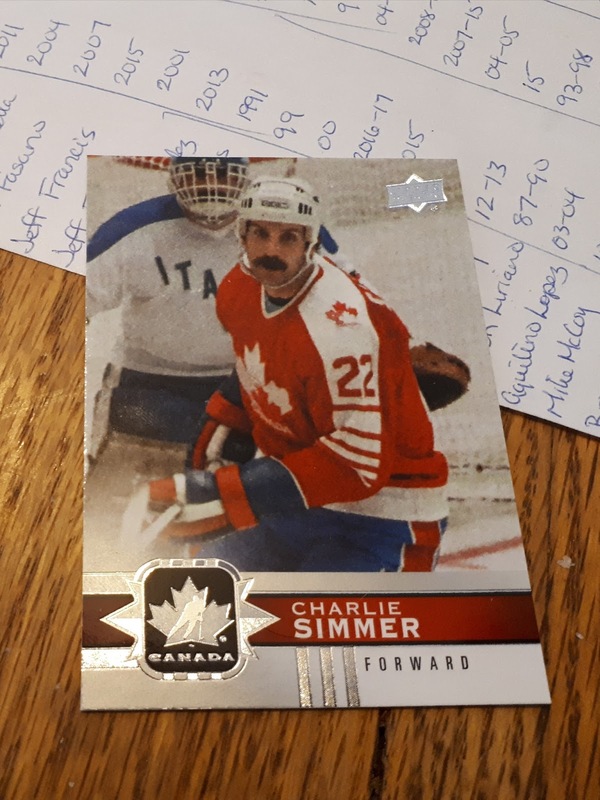 He's got 21.. Of course that includes printing plates and AHL cards. He has 7 NHL cards. There was another guy years ago who never got a card. He played a grand total of 21 games in the 70s..
That said, I am working on a master set of MacKenzie. I'm... yeah. I have about 1800 1990 Donruss cards I'm currently sorting through. Once I'm done, and if I can remember, then I'll cross check your wantlist... although, I'm not familiar with many of the variations and ERRs you have listed. Love the idea of collecting stadiums. 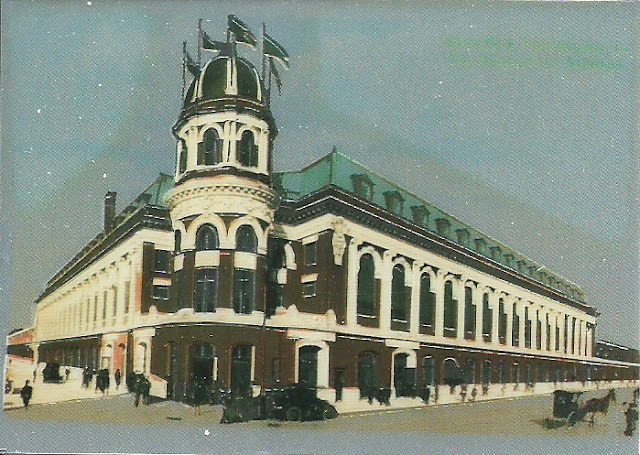 Someone posted about postcards that featured a few stadiums, which got me thinking about going out and finding some Candlestick Park and Oakland Coliseum post cards. Those were the two stadiums I grew up attending back in the day. It's just something I've always enjoyed.. I have a couple stadium books with photos of stadia through MLB history.. I'd love to see one for the minors, but that would be about the size of three or four New York Phone Books. Stadium cards are awesome. I wish I could find old postcard-type things like the one you have. I do have a coupe OPC stadium cards, including Wrigley Field and the Skydome. Speaking of Stadium cards..I got the Tim Anderson auto today, just in time for my Chicago post. Thanks very much! i love Stadiums too. the older, the better. These old parks are our history. Indeed. I also love seeing how Tiger Stadium evolved. Things like that. Glad to see it being used for something baseball related..